We invite you to enjoy the traditional of yerba mate, served hot in a gourd or iced with orange juice, mint and agave. 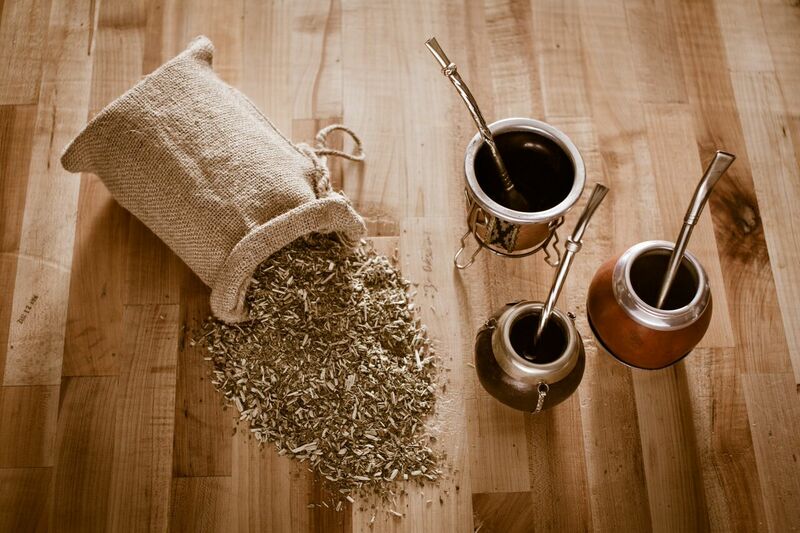 Yerba mate is a traditional South American caffeine-rich tea served with a metal straw from a shared hollow gourd. The straw is called a bombilla. The gourd is known as a Mate. Yerba mate leaves are dried, chopped, and ground into a powdery mixture. Mate is traditionally shared in a particular social setting, such as family gatherings or with friends. It is an important ritual signifying trust and communion. The same mate and bombilla are used by everyone drinking. 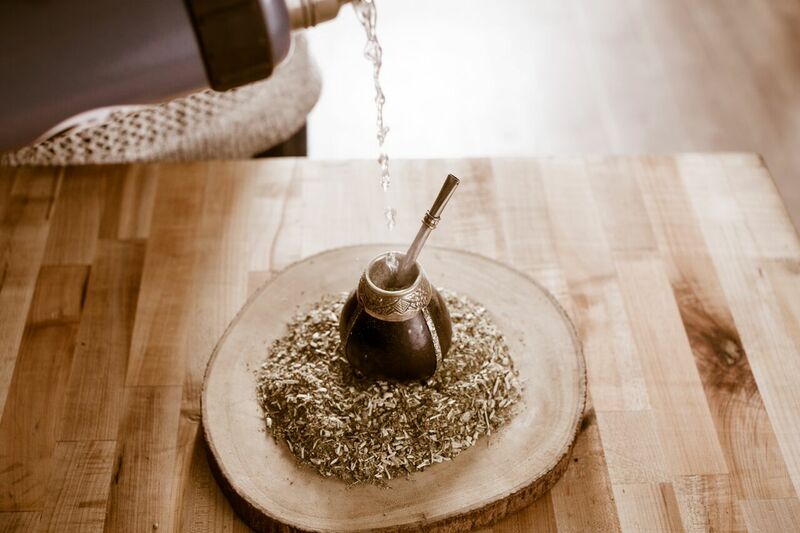 Typically, the server (Matedor) fills the gourd and drinks the mate completely to ensure that it is free of particulate matter and of good quality. The ritual proceeds around the circle in this fashion until the tea looses its flavor (becomes lavado). When one has had one’s fill of mate, he or she politely thanks the matador passing the mate back at the same time. When someone takes too long, others in the round will likely warn him or her by saying “no es un micrófono (“it’s not a microphone”), an allusion to the drinkers holding the mate for too long. Mate contains several vitamins and minerals important to human health, including vitamins A, B1, B2, C, and E, as well as phosphorus, iron, calcium. It contains significant levels of polyphenol antioxidants, and has a slightly higher antioxidant capacity than green tea. In 2011, research at the University of Illinois found yerba mate to inhibit the proliferation of colon and oral cancer cells. On average, mate tea contains 92 mg of the antioxidant chlorogenic acid per gram of dry leaves, and no catechins, giving it a significantly different antioxidant profile to other teas. Tereré is a cold infused version of yerba mate that came from the indigenous people of Guaraní origin. It is similar to mate but prepared with cold water rather than with hot. Tereré that is mixed with juice is commonly called “tereré ruso” (Russian tereré) because this practice is more common with Slavic immigrants in the southeast of Paraguay and northeast of Argentina. This drink is excellent to refresh the body and is a very low-calorie, vitamin rich beverage, while much less caffeinated compared to the traditional yerba mate.